Towards the end of last year, I attended a Silver Jubilee ceremony. No, I am not secretly a member of a religious order, although ‘Silver Jubilee’ has priestly connotations. 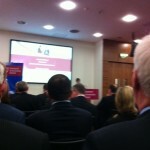 It was an event to celebrate 25 years as a member of Chartered Accountants Ireland. It took six years of apprenticeship and exams to earn membership, so that’s 31 years invested in the profession. An advanced sense of the ridiculous and a fascination with how people turn ideas into businesses has kept me somewhat sane and quite enthralled. The world has changed hugely since 1987, and the technology and equipment that we used then are actually featured in museum exhibits now. It was, in a way, my introduction to tax planning. I awoke next day to find myself in the papers, with Mr Forsyth. “This Girl Could be Living Tax Free”, one headline went. I had to get someone to explain it to me. Ireland had (has) a tax exemption for artists. Mr Forsyth spent quality time in Ireland which allowed him to have his income assessed here, so he didn’t have pay taxes anywhere. It was a bit controversial. I didn’t do accounting in school and I was blissfully unaware of what an accountant actually did. This state of bliss continued right into college when it slowly began to dawn on me what was involved. I didn’t like accounting as a whole, yet oddly I was quite good at it. I had only filled in the application form because my father insisted. I did it to keep him quiet, as you do. It was the 1980′s and jobs were scarce. I could see that accountancy offered opportunity, so I became an articled clerk in a provincial office of a Big 4 firm. I attended college full time for two years and dodged working for the firm in the holidays. Instead I worked in a hotel as a waitress where I earned more in tips alone than I could have earned as wages in the accountancy office. But the day of reckoning came and I did eventually have to show up at the office to serve my four year training contract. The term ‘articled clerk’ always made me think of Bob Cratchit in Dickens’ “A Christmas Carol.” At least we had proper heating and we didn’t have to write with quills. We had our own forms of antiquity. when I moved to industry in 1988, the factories ran on an IBM System 38. 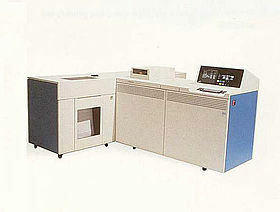 An IBM AS400 followed some 4 years later. Machines varied in size from that of a van to a large washing machine. Technology really was big. Back-ups were stored onto large tapes, maybe 45cm in diameter, which were screwed down into the computer’s CPU. 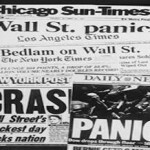 The daily back-ups were kept in a fire proof vault in the bank. PCs came into common use in offices here in the mid 1980s. IBM was the market leader. You stored and moved stuff around on 5 1⁄4“ inch floppy disks, followed by 3 1⁄2″ inch disks which prevailed until well into the 21st century. CDs, DVDs, Zip drives, memory keys, external hard drives and the cloud all came much later. A partner in the Dublin office once asked me in the late 1980s to send accounts to him on a disk. I sent one of those big 45cm jobs, by courier, as we weren’t yet using PCs for accounts production. I think he thought I was crazy. He’d never seen one of the big machines that we used down here in the sticks. The term “user interface” had yet to be coined and only specially trained data entry people were allowed to interact with these machines. Oh and me. Because I hadn’t the patience to wait for them to process my stuff. You used a keyboard and a dumb terminal, which was cabled at huge expense to the CPU, which resided in that air conditioned room. When I moved into industry in the late 1980′s we did have email, as email is 42 years old this year. However, we did not have the world wide web and there was no Google. 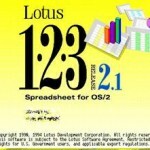 Lotus 1-2-3 was THE spreadsheet to use. Microsoft Excel, although launched in 1985, didn’t become the market leader until the 1990s. Once-upon-a-time, Lotus was IBM’s killer app, but by the turn of the 21st century, Lotus was being given away free with computer magazines. It has never recovered. If you used Lotus then, you probably laboured away with macros to automate tasks, and which took a while to get the hang of. Macros in MS Excel take only minutes to master. All offices had secretaries who used typewriters. These typewriters were replaced by stand-alone “word processors” that had a memory and allowed you to edit your document before printing. Telex machines pre-dated my working life, but some international clients did have them in the 1980s. The temperamental fax (facsimile) machine descended into common use in the 1980s and it still lurks in government departments and some obscure outposts to this day. I refuse to use this particular invention. There were no mobile phones. The first mobiles in the mid 1980s weren’t really mobile because of the weight of the batteries and were fixed in cars.’Brick’ phones came into being in the late 1980s, mainly made by Motorola and Nokia. Printers were mainly dot-matrix style and used continuous paper, fed through the printer via holes punched longitudinally along both edges. Accountants had to pore over large print-outs filed in printer binders as interrogation of data electronically was either impossible or so difficult that it was only economically viable to do it for large enterprises. 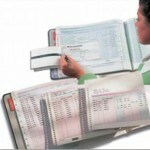 As most SMEs didn’t have computers, books of account were often kept in traditional ledgers or the “three-in-one system” the latter which, in theory, took some of the tedium out of manual book-keeping. Suffice to say that you effected “double-entry” by using carbon paper, but as “Tippex” had also been invented, many clients managed to unwittingly make single sided entries and the books rarely balanced. It wasn’t very good. PCs ran on DOS, (Disk Operating System), and to avoid being a complete pain to the IT department, it was polite to learn some DOS commands and to write your own menu system using a batch file. It wasn’t user friendly, to put it mildly. DOS declined after the introduction of Windows ’95. I earned about £35 per week at first. Even back then, that was not enough to live upon. When I disclosed my post-qualification salary to my brother, he assumed the number I gave him was just the (non-existent) bonus awarded to me for qualifying. I think I earned £6,500 p.a. once I had passed my finals, but I did still have two years left on my training contract at that stage. You did however get 10 – 12 weeks of study leave per annum, (but only if you were actually sitting exams of course!) Accountancy exams have a reputation for being difficult, largely due to the fact that in order to complete the finals, you have to have work experience. This means studying and attending lectures at night and weekends, after spending a day at work. We were treated to a “Reeling in the Years” style video at the Silver Jubilee Ceremony. there were about 6,000 qualified Irish Chartered Accountants. There are 21,000 now. words that together don’t have a positive meaning, but I like to think that I bring creativity into my work. It certainly helps when I am assisting clients to describe their business to investors and to hone their investor pitches. The training and discipline involved in accountancy are valuable skills that are transferable to many other sectors. One of the most striking developments in business over the last 25 years is how technology enables us to communicate and process information in new, easy and affordable ways. Even 5 years ago, the range of of technology choices was much more limited, and a paperless office was more trouble than it was worth. Digital business developments such as the cloud, apps and smart phones were unimaginable in 1987. Yet, someone, somewhere did imagine these developments. Without dreams, vision and imagination we would all still live in caves, cook over fires and kill to eat. We wouldn’t trade using currency or have viewed the surface of the moon, and footwear would be quite dull. Imagination and creativity are fundamental to life, to business and yes, even to accounting. I plan to work for a few decades yet, so if you expected confessions to be more… well, just more, you’ll have to wait for my memoirs! Thanks to Austin Slattery, President, Chartered Accountants Ireland, (CAI) and the Council of CAI for taking the initiative in celebrating this milestone. Thanks also to those in CAI Member Services, especially Simone Doran and Stephen Molloy for actually taking the trouble to organise it. It was a nice thing to do. Have you any memories of processes or devices from your earlier working life that seem archaic now? If you do, please let us know in the comments below. « Dropbox. It Just Works. Here is How. I commenced articles in 1964. We didn’t have any computers, but we did have adding machines where we punched in the numbers, and remember it was LSD, no decimal currency. Unfortunately we only had one between four of us in the office. To improve our adding skills we would tot a page of the telephone book mentally, and time it against each other. TG for spreadsheets. Hey Pat, finally an accountant who is even older than me! They don’t call the young ‘uns articled clerks any more, I think it’s just students or trainees now. In my office, there was a gentleman whose totting ability was astonishing, and he even scorned calculators Yes indeed, TG for spreadsheets, being good at adding up isn’t the most exciting skill to have! 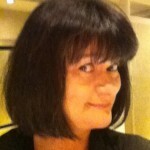 Great Article Helen – jeekers it took me back to my training days in Limerick in the late 80′s. If I remember right my very first month’s pay cheque was about £195. Yip – a 195 of the real Irish pounds!! The office I started in didn’t have any computers – you were lucky to have a calculator. All accounts had to be individually typed up. The old ruled big red ledgers books were being used. If you were very good in the office you got to take care of a client with the “3 in 1″ ledger system with the tracing paper and properly ruled ledgers! When I moved on to bigger and better things in my Kerry group days – Lotus 123 was the staple diet on old DOS IBM PC’s which were probably “networked” together with coaxial cable and a wing & a prayer (plus some cellotape!) The first mobile phone I ever saw was in 1989 when I worked in Dublin – it was one of those “brick” motorola things that cost about £2k back then! Fantastic memories Tom! You were actually quite a bit better paid than me, my £35 per week equates to £151 per month, compared to your £195! However, in addition to statutory holidays, the firm gave us 8 -12 weeks paid study leave per annum, depending on which exam we were sitting. This was the largest chunk of study leave granted by any firm and we appreciated that. As a result of the support for and interest in our academic endeavors, I passed my exams with two years still to run on my training contract. I promptly got married I remember my ‘principal’, the training partner in the firm, sent me a generous cheque and a note informing me I now had two masters! Although we had a formal relationship, he had a brilliant sense of humour and was a true professional, as were all the partners. The discipline we had to apply to our work and studies was really quite a challenge. I guess the same probably still applies, but the challenges are just different. I remember the brick phones well – they used to make leather holsters for them! Thanks for sharing your memories Tom, we can form an old codgers club now! I remember working for Welsh Water 20+ years ago and the computer room was like an ice box and had special doors you couldn’t get through without certain passes and there was a time lock you had to wait in between doors too. Previous to that my first job was in the Cardiff Chamber of Commerce in the late 80′s earning £5k per annum (think I was doing better than you two, Tom and Helen) as a telex operator. Telex was the early form of emails and companies would phone me and read out what they wanted me to write and they’d pay per word. Plus companies used to come in to use our fax machine. Since then fax machines have almost come and gone. Doing the accounts for this small part of the Chamber of Commerce was something I enjoyed – prompting me to go down the accountancy route and a few years after that I went back as their Financial Controller. You were lucky – tea and sticky buns! I’m just with a colleague from the IBM S38 days and she says that if the air conditioning didn’t work, the machine wouldn’t stay up – it could crash. They had a fan on standby to keep temperature in the room even, rather than risk a crash.